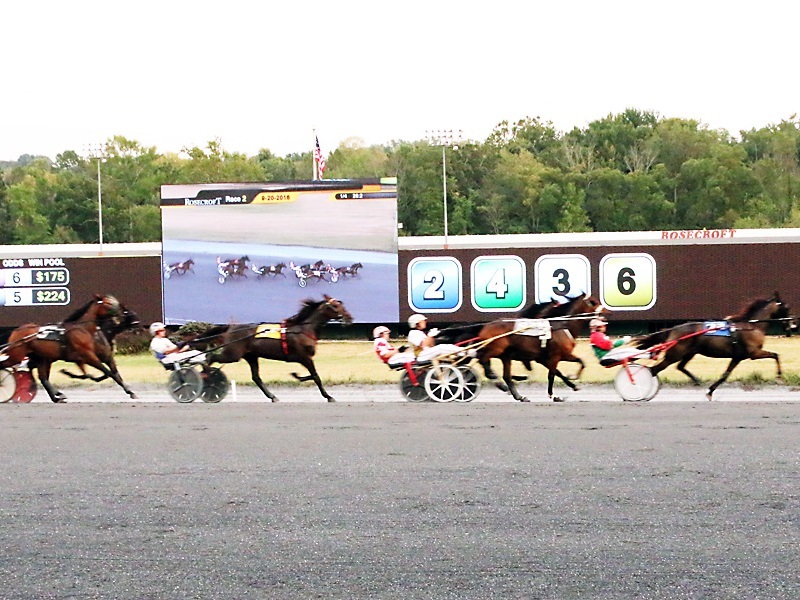 Join us on Sunday, December 2, for the 3rd running of the Potomac Pace at Rosecroft Raceway. The Potomac Pace is one of harness racing’s newest stakes events and is expected to attract a star-studded field of pacers. Bet $50 or more on the Potomac Pace card (Show wagering excluded) at Rosecroft Raceway and receive a $10 Bonus! Bet $50 on the Potomac Pace card at Rosecroft Raceway on Sunday, December 2 and get a $10 bonus. Bonus Credits will be deposited into registered customers’ accounts by 5:00PM ET on Wednesday, December 5, 2018 Show wagering is excluded from this promotion. Offer valid Sunday, December 2, 2018. Customers must register for Contest to be eligible. There is no fee to register. Registered customers will receive a $10 Bonus when they bet $50 or more on the Rosecroft Raceway card on Potomac Pace Day, December 2, 2018. Show wagering is excluded from this promotion. Bonus credits will be deposited in the form of wagering credits by 5:00PM ET on Wednesday, December 5, 2018. Customer has 30 days to bet wagering credits. Unused wagering credits will be retracted after 30 days. Wagering credits cannot be withdrawn. Individuals may only have one (1) account and may only qualify for the promotion one (1) time. Participants must have an Xpressbet account in good standing to qualify for the promotion. Only wagers made through a participant’s Xpressbet account are eligible.